Zoe’s story is the story of a Warrior, it is the story a Survivor…. Zoe Erin Lambert came into this world on February 26, 1998, welcomed with jubilance by her family but within hours of arriving, that jubilance soon turned to panic, and the Words “VATERS SYNDROME” was soon to be word that her family would use frequently for the rest of all their lives. V.A.T.E.R./ V.A.C.T.E.R.L. are the acronyms used to describe the types of physical problems a child may have. It is an association characterized by the sporadic association of specific birth defects or abnormalities. Not all children born with this association have the exact same level of abnormality. Some may be mild, while others will be severe. The survival rate is very much dependent on how severe the defects are. Only a doctor can give that information. Zoe was born with multiple anomalies associated with VATERS which included: severe scoliosis, missing and fused ribs, a Single kidney, bladder reflux, Vesicostomy Sacral Agensis, Mal Rotation of Intestines, Obstruction of the Bowel, Gastric Reflux,Ulcers, Neurogenic bladder and bowel, Klippel Fiel Syndrome, among other medical abnormalities. Zoe’s battles have been many, and she has had many mountains to climb from the day she was born, but she has done so, with a strength that has encouraged all of those around her to keep their faith, when at times they were crumbling. 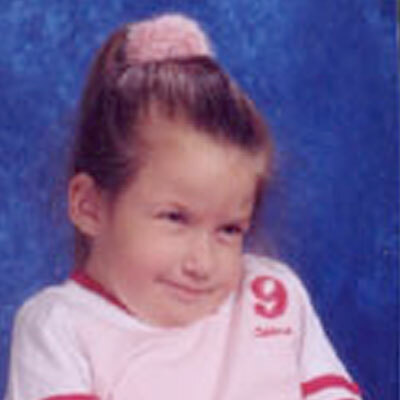 On April 17, 2003, Zoe was taken into surgery for what was to be a routine Titanium Rib Expansion. This device, known as a VEPTR, is an experimental devise that has helped to keep Zoe alive since 8-3-2000. Because of Zoe’s severe scoliosis, and the missing and fused ribs, her curve was progressing at a rapid rate and she was now developing Thoracic Insufficiency. The Titanium Rib is still in the experimental stages, and still not approved for FDA, but has offered hope for over 250 children, whereas just 10 years ago, these children would have just been sent home to die a suffocating, smothering, death. This was to be Zoe’s 7th Expansion, and would be her 13th over all surgery. Along with the expansion, her GI Doctor would also take the time, to check on a GI bleed, Zoe had had a few months before. Before the day of surgery, Zoe met with her team of physicians at Boston Children’s Hospital. All were in agreement that it was the best and strongest they had every seen Zoe and she was certainly fit for surgery. Zoe’s mother, Arlene, and grandmother, Johanna, were happy, as they expected Zoe would have her expansion, and God willing, they would be on the road for our long drive home, in time for Easter Dinner. As they waited in the surgical waiting room, the GI doctor was the first to come out and he told them that he had done the scope, and Zoe proved to have a Hiatal Hernia, which will require medication. Nothing Earth shattering. About an hour later, Zoe’s Orthopedic Surgeon joined them in the waiting room, and explained all went well, and they would get to see her in about a half hour. But ninety minutes went by and the family knew something was wrong. It was then that they were told that things were not well, they were not able to get Zoe off the Vent and her lower extremities were blue. The X-ray, it appeared as though Zoe had pneumonia and at the very least, she was unstable. They asked for permission to put in a Central Line, but little did the family know how bad everything would get. Zoe was transferred to ICU and the family was told that she had developed pneumonia. There were few answers to the many questions, but on Friday and Saturday, things seemed pretty stable and they thought it would just take time for Zoe to beat this pneumonia, that the respirator would give her the time she needed to resolve it. On Saturday evening, there was some discomfort, because they noticed Zoe’s urine output had really dropped, but everyone was still saying that she was stable. At about 10 PM, Zoe’s Mom and Great Grandma felt comfortable enough to head to the hotel; her Grandmother, Johanna, stayed with her but at midnight, went back to the dorm to rest. At about 2:00 P.M., the nurse came running to bring her back to Zoe’s bedside. Zoe had suddenly taken a turn for the worse. All the doctors were gathered around Zoe’s bed in their scrubs, and they were taking Zoe off the respirator that was failing her, and putting her one what they called High Frequency Ventilation. It was a machine that would hopefully give Zoe’s lungs the time they needed to heal. They at that time gave Zoe’s grandmother a chance to touch Zoe, and to kiss her little leg, and beg her to fight this terrible thing that was happening to her, this terrible thing they now called ARDS. Zoe, at that point, was as close to death as a human body can get, without passing over. Zoe’s grandmother called Zoe’s mom, and remembers thinking that God had to let Zoe Live, but not expecting Zoe could hold on, not even long enough for her Mom to get to the Hospital. As Zoe’s family came together in the waiting room that night, Easter Sunday, it was to be a day of Hope around the World, but the family could find no comfort, not even in each other, as their little Angel was dying. Zoe, who was their “little Soldier” who had fought so many battles was now in a coma, with her body vibrating continually, on a machine that was as loud as an 18 wheeler truck. Her body was becoming more unrecognizable to them as she began to fill with fluid, and she was as cold as ice; all they could do was sit back against the wall in our chairs, and watch for hours, and hours, days, and weeks, as the doctors and nurses at the Boston Children’s Hospital did just as they promised us on that Easter Morning, that they would do everything for Zoe. The rest was up to our Prayers, it would be God, in his infinite Wisdom, who would make the final decision. Zoe’s body fought hard to die, but the Doctors and Nurses, fought harder for her to live, and in the end, God made his final decision, and we brought Zoe home. She came home after seven weeks in the hospital, five of them spent on the ventilator, with no memory of what she had gone through. Within weeks of coming home, Zoe was back to life as normal. It was decided many weeks into Zoe’s incident, that Zoe had aspirated in the Operating room that day of surgery a risk for many, but higher for Zoe, who has Gastric Reflux. Unfortunately, it is a risk she must take again, and again, as she requires many more surgeries to stay alive. Though Zoe is still a fragile child, she is also A WARRIOR and for those around Zoe, who love her, they live differently today than they did before that Easter Sunday; they do not take life a day at a time anymore, they take it a minute at a time, and they are so grateful to God, and for the Prayers of the Faithful, and are extremely grateful for the heroic efforts of the doctors and nurses at the Boston Children’s Hospital who never gave up on Zoe. They stopped at nothing to keep her alive. Today, Zoe is in kindergarten in Plymouth, PA, enjoying things like marching in the Halloween parade, and she just walked down the isle as a flower girls at a friend’s wedding. Zoe is an inspiration to all! As of 2006, Zoe has had eighteen additional surgeries since 2003. She has many more to go. But her family says that Gd and the wonderful doctors have worked so hard to do everything to keep Zoe alive. For now, Zoe’s family gathers their strength and their loved ones to keep fighting the everyday battles of Zoe’s life and they pray that she will continue to win these difficult battles.